Concepts and methods like Ecosystem Based Management (EBM) and Marine Spatial Planning (MSP) are totally new for our country, as they have never been applied before in any nature conservation area in Greece. CYCLADES LIFE is the first project that will adopt and implement these two innovative techniques in order to ensure an integrated management planning strategy, and to secure the effective and sustainable operation of the new Marine Protected Area and the Wildlife Refuge of Gyaros. 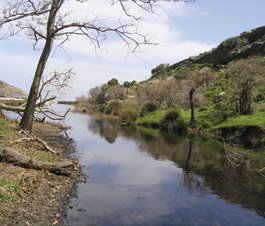 As these two techniques have been proved quite successful when applied in similar cases around the world, it is essential that the project’s team will acquire the knowledge and expertise in the above methods, so as to apply them effectively in the effort to establish a successful conservation and management scheme in the Gyaros project area. Through an intensive training seminar, conducted by selected expert scientists in this field, the project’s personnel will be trained on both EBM and MSP methodologies. Moreover, in the course of the seminar the team will be learn in detail these innovative techniques and tools and will be engaged in in-depth case study exercises that will significantly enhance their skills and abilities to successfully put them in practice under the specific socio-economic conditions of the project area and utilize them at the case of the new Marine Protected Area of Gyaros. 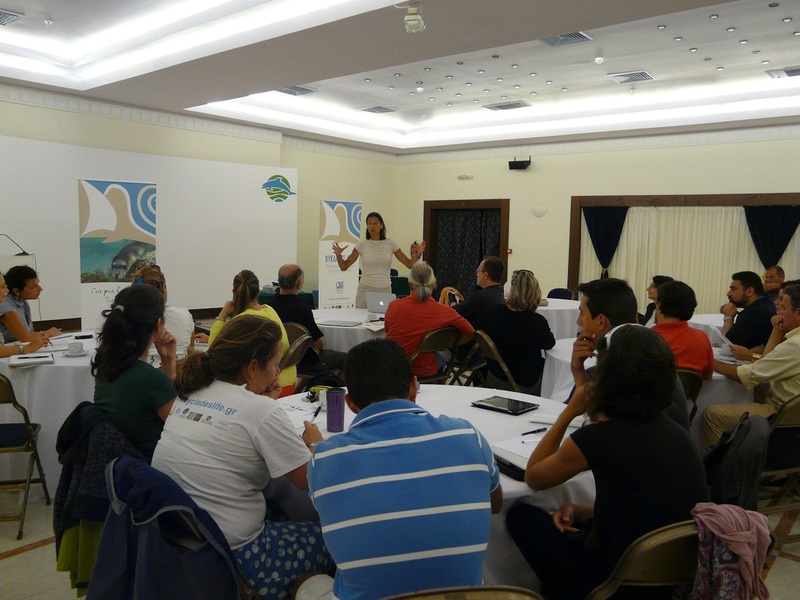 Besides the training in Ecosystem Based Management and Marine Spatial Planning, the CYCLADES LIFE team will gain valuable knowledge on how to properly establish and successfully function the Consortium of Stakeholders that will play a vital role in developing the proper administrative co-management scheme, so as to achieve the effective conservation and the sustainable management of the Gyaros Marine Protected Area and the Wildlife Refuge. The Mediterranean Monk seal and other marine species, hunt in the same areas with local fishermen often leading to a harsh antagonism! 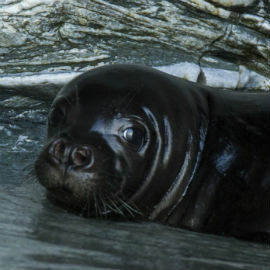 Based on the results of the recent LIFE Nature MOFI project, that aimed at mitigating the conflict between monk seal and fisheries in Greek Seas, it is evident that illegal and destructive professional fishery practices such as use of dynamite, undersized nets and hooks, and even deliberate killings of marine mammals, are prominent threats for the conservation of the Mediterranean Monk seal and of the marine biodiversity in general. However it is not only Monachus monachus that faces the negative impact of such threats. 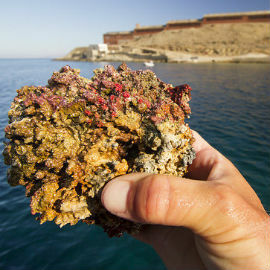 Scientific studies show that destructive professional fishing practices (illegal or extensive trawling, overfishing, dynamite, undersized nets and hooks) cause extensive degradation also to Posidonia beds and corraligenous reefs, two of the key priority habitats targeted by CYCLADES LIFE project. The fact that local professional fishermen, were and still remain one of the most important primary sectors of the Cyclades and the country, makes it imperative for them to be actively involved and to play a catalytic role in the efforts for the establishment and effective management of the new Marine Protected Area. In order for achieve this, the project team will design and implement a series of training seminars to the local fishermen, focusing on specific environmental issues and on the adoption of environmental friendly practices towards important marine habitats and species. • Basic elements of marine biology, especially in relevance to commercial species, on climate change and on invasive species. • New fishing techniques as well as alternative fishing gear, friendlier to the marine environment. • Alternative business venues and proposals that will help them undertake available European funding. The effective management of the new Marine Protected Area of Gyaros will depend on the active involvement and participation of the local authorities and bodies that are directly related to the marine environment of the wider project area. The main local stakeholders include the coast guard, the local municipalities and government authorities, the judicial authorities, professional and amateur fishermen, dive-centers operators, local NGOs, professional associations, and the tourism sector. 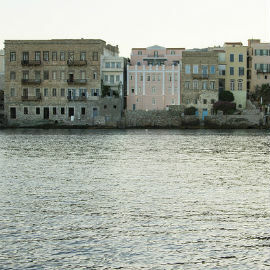 Thus, an additional series of specifically designed training seminars will be organised in both Syros and Andros, aiming at empowering the participating key stakeholders regarding alternative sustainable business ventures that could be developed in direct relation to the new Marine Protected Area, as well as regarding their collaboration in the co-management of the area and their active involvement in the implementation of the conservation and management measures. • Basic knowledge regarding the biology and ecology of the local flora and fauna and information about the terrestrial and marine environment of Gyaros and the wider area. • Basic information about the natural environment, the legal framework and the available tools for its protection, as well as techniques and measures for sustainable environmental management. • Information on the importance of ecotourism, as well as models and best ecotourism practices for the development of sustainable ecotourism in protected areas. • Information about the European Structural Funds and other funding sources for the development of alternative and sustainable, environmental friendly, business ventures, in sectors like, tourism, services and low-intensity agriculture.